Anugerah Planet Muzik (APM 2017) is here again for the 16th edition celebrating the best in the Malay music industry in the region. With the highest number of entries this year, the APM deciding committee had the biggest challenge to filter the best artistes for the various nominees across the 19 award categories for the night. The night of glitz and glamour will be held at the MES Theatre at Mediacorp, Singapore on Saturday, 14 October 2017 at 9.00pm. Viewers from all three countries will be able to watch the show ‘LIVE’ broadcast on the respective partner TV channels. 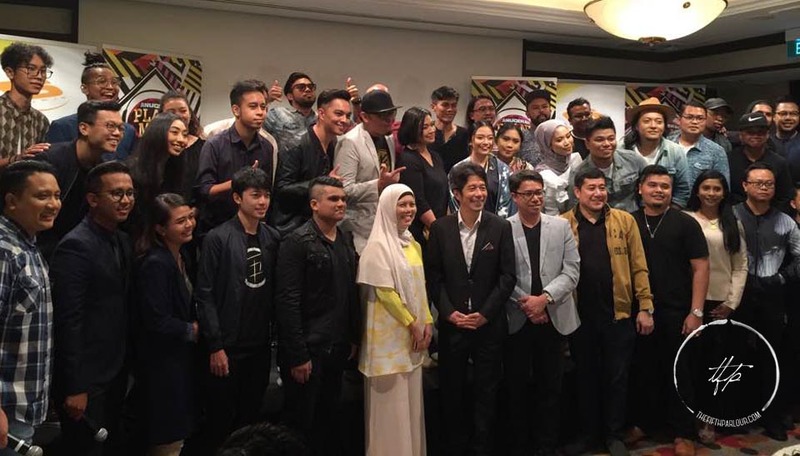 The current edition of APM 2017 will feature a diverse range of artistes from Malaysia, Brunei, Singapore and Indonesia. Nominees for this year’s event includes Ayda Jebat, Aisyah Aziz, Isyana Sarasvati, Virgoun, Gloria Jessica, Aiman Tino, Hael Husaini, Taufik Batisah, Dayang Nurfaizah and more! On the nomination day at the Orchard Hotel, it was revealed that a prelude held on 1st October 2017 at Sepang, Malaysia! It will be a closing performance after the F1 circuit race. Exercise your rights and vote for your favourite songs and artistes in the fan-driven categories from 22 August till 14 October, 10.00pm! Thank you MediaCorp Suria for the invitation to the press conference.